It’s the world’s second-largest population and 90% don’t have a debit or credit card, so why should U.S. prepaid services proceed with caution? Tour these great United States and you’re bound to find a few cultural differences at each state line. Take New York and Texas. Heck, they’re practically different countries. And California might as well be another planet. But for one in search of genuine diversity, my destination of choice would be India. U.S. prepaid interests appear to share my wanderlust, except not only would they like to visit; many are keen to take up residence. 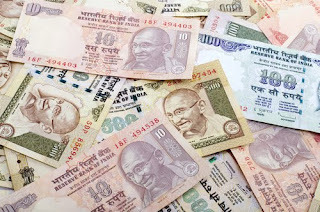 The attraction is obvious: As the country with the second-largest population in the world, India is not only a rising financial superpower with a growing middle class, but it’s also the world’s largest cash economy. In fact, according to Naveen Surya, Managing Director of ItzCash Card Ltd. – a multi-purpose prepaid card company based in Mumbai – less than 10% of India’s 1.2 billion residents have a credit or debit card! Cash only, folks. Seems like a prepaid dream! But before you pack your bags and rush out the door, you’ll need to contend with that diversity aspect I mentioned earlier. You see, India is also the world’s seventh-largest country, and to illustrate the extent of differences you’ll find from region to region, and state to state, this big boy boasts roughly 29 different languages, with multiple dialects particular to each language. No single prepaid product solution can possibly accommodate India’s myriad socio-cultural particularities. There’s a massive learning curve, even for native Indians like Surya, who only speaks a “paltry” two of the country’s tongues. In an interview for our third episode of IIR’s podcast series, “Progress in Prepaid,” Surya takes us on a tour of India from a prepaid perspective. We’ll explore issuance and infrastructure issues, the regulatory landscape, and opportunities for closed-, semi-closed and open-loop prepaid products in a country of contradictions, where cash is king but mobile penetration is high enough that mobile prepaid could take hold within just three to four years! To listen to our podcast click here, or to download the transcript, please click here. Want to learn more about prepaid in India? Naveen Surya will be moderating a panel titled “India: Next Growth Destination for the Prepaid Industry," at IIR’s Prepaid Expo USA on March 9 in Orlando as part of a session track devoted to international prepaid markets. There’s still time to register for the industry’s largest gathering for network-branded prepaid and stored-value decision makers and influencers March 6-9. Visit www.iirusa.com/prepaid for details.